What is up with the audience at the GOP debates? Is it just me or is there something omnious going on at these GOP debates? Although I was unable to watch last night's debate, I didn't missed what is obviously the biggest headline coming from the debate: Audience Boos Gay Servicemen. Yep, you read that right. 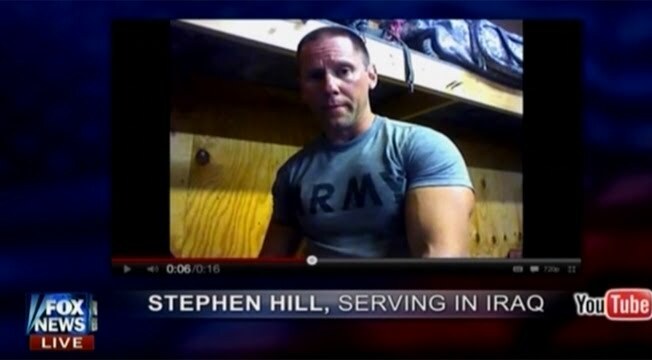 A GOP audience booed a man in the military, who happened to be serving in Iraq, because he was gay. Yes the same GOP that's always pro-military this and pro-war that booed a person who is honorably serving in that same military. This latest incident is highlighting some unsettling trend that seems to be coming from these debates. First there was the wild applause that accompanied the announcement of the number of executions that had taken place while Rick Perry has been governor of Texas at the one debate, then you had the audience members shouting out how a 30 year olf with no health insurance should be allowed to just die at another debate, and now we've come to the point where servicemen are being booed because of their sexual orientation. It would appear that the audience at these debates are at a to the bottom to see who can sink the lowest. The saddest part of this whole thing is whether or not this is just a bunch of individual people with these feelings or whether it's a true snapshot of the American electorate and how they feel about certain issues. It's all just a a sad state of affairs for this country.